The knot bracelets keep the charm hanging on the front of the hand. This will fit an average woman's wrist size. There are biblical accounts of the Holy Spirit appearing as a dove at the baptism of Jesus, and as tongues of fire when the Apostles were filled with the Holy Spirit. These two representations of the Holy Spirit are combined in this design. 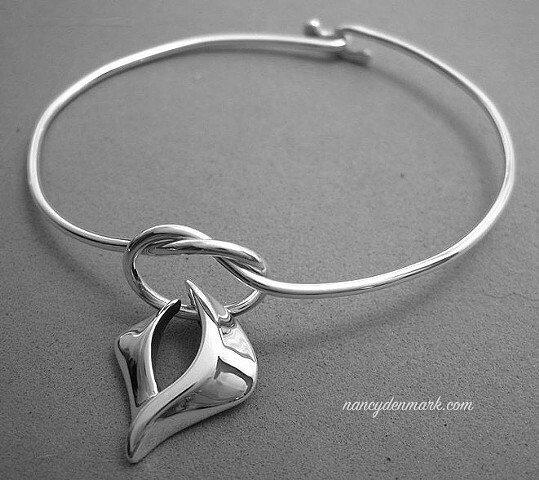 Price link includes 1 knot bracelet with dove charm and priority mail shipping to US addresses. Click purple price link above for secure online checkout paying by credit card or PayPal.